Home maintenance is something most homeowners tend to overlook. Because of the time and effort it requires, we choose to ignore its importance rather than pay close attention to its benefits. Now to avoid from getting caught up in some emergency, here are some maintenance tasks that you shouldn’t miss. – Inspect your HVAC filters at least once a month and replace them as needed. – Depending on your local climate, home structure and unit’s model, check your gas furnace regularly. 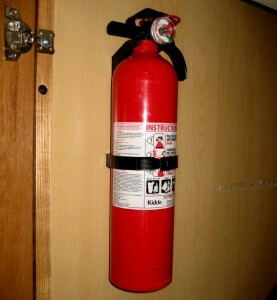 – Check your fire extinguishers to make sure they are functioning well.